Geometric models of hyperbolic geometry include the Klein-Beltrami model, which consists of an open disk in the Euclidean plane whose open chords correspond to hyperbolic lines. A two-dimensional model is the Poincaré hyperbolic disk. A computer-generated image showing the pattern of a p-mode solar acoustic oscillation both in the interior and on the surface of the sun. (l=20, m=16 and n=14.) Note that the increase in the speed of sound as waves approach the center of the sun causes a corresponding increase in the acoustic wavelength. Helioseismology is the study of the propagation of wave oscillations, particularly acoustic pressure waves, in the Sun. 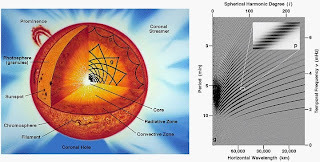 Measurements of the Sun's oscillations provide a window into the invisible interior of the Sun allowing scientists to infer the structure and composition as well as the rotation and dynamics of the solar interior. (Extreme ultraviolet Imaging Telescope) images the solar atmosphere at several wavelengths, and therefore, shows solar material at different temperatures. In the images taken at 304 Angstroms the bright material is at 60,000 to 80,000 degrees Kelvin. In those taken at 171, at 1 million degrees. 195 Angstrom images correspond to about 1.5 million Kelvin. 284 Angstrom, to 2 million degrees. The hotter the temperature, the higher you look in the solar atmosphere. The mysterious source of these oscillations was identified by way of theoretical arguments in 1970 and confirmed by observations in 1975. The oscillations we see on the surface are due to sound waves generated and trapped inside the sun. Sound waves are produced by pressure fluctuations in the turbulent convective motions of the sun's interior. As the waves move outward they reflect off of the sun's surface (the photosphere) where the density and pressure decrease rapidly.. The plots on this page show the current extent and position of the auroral oval at each pole, extrapolated from measurements taken during the most recent polar pass of the NOAA POES satellite. "Center time" is the calculated time halfway through the satellite's pass over the pole. Any threat to communications is always seriously assessed. What we want to see on the other side of the Sun is whether any outburst is coming, that could seriously affect those same communications. This book describes a revolutionary new approach to determining low energy routes for spacecraft and comets by exploiting regions in space where motion is very sensitive (or chaotic). It also represents an ideal introductory text to celestial mechanics, dynamical systems, and dynamical astronomy. Bringing together wide-ranging research by others with his own original work, much of it new or previously unpublished, Edward Belbruno argues that regions supporting chaotic motions, termed weak stability boundaries, can be estimated. Although controversial until quite recently, this method was in fact first applied in 1991, when Belbruno used a new route developed from this theory to get a stray Japanese satellite back on course to the moon. This application provided a major verification of his theory, representing the first application of chaos to space travel. Since that time, the theory has been used in other space missions, and NASA is implementing new applications under Belbruno's direction. The use of invariant manifolds to find low energy orbits is another method here addressed. Recent work on estimating weak stability boundaries and related regions has also given mathematical insight into chaotic motion in the three-body problem. Belbruno further considers different capture and escape mechanisms, and resonance transitions. Providing a rigorous theoretical framework that incorporates both recent developments such as Aubrey-Mather theory and established fundamentals like Kolmogorov-Arnold-Moser theory, this book represents an indispensable resource for graduate students and researchers in the disciplines concerned as well as practitioners in fields such as aerospace engineering. Sound Shaping our Views of the Universe? We can't actually hear gravitational waves, even with the most sophisticated equipment, because the sounds they make are the wrong frequency for our ears to hear. This is similar in principle to the frequency of dog whistles that canines can hear, but that are too high for humans. The sounds of gravitational waves are probably too low for us to actually hear. However, the signals that scientists hope to measure with LISA and other gravitational wave detectors are best described as "sounds." If we could hear them, here are some of the possible sounds of a gravitational wave generated by the movement of a small body inspiralling into a black hole. If it's Not a Soccer Ball, What is it? See, if you do not understand how one can arrive at how one is to bring the truth out of a geometrical propensity of the vibrational nature of the universe then how is it one can hope to view the universe in a new and a very dynamical way? Understand it's mathematics? Gravitational wave sources for LISA from Michele Vallisneri on Vimeo. Gravitons and Topoi if an illusion, then Where's the Truth? “Useful as it is under everyday circumstances to say that the world exists “out there” independent of us, that view can no longer be upheld. There is a strange sense in which this is a “participating universe” Wheeler (1983). It is always that the representative language current, as it's written, requires some deeper look behind the obvious, a look behind the illusion, to have it contend with the objectification of, how one can see the truth. Such a graduation which leads one to understand the structure of a 5d world only makes more sense when you combine what you see exists behind the geometric revelations of the real world, to see it apply to some underlying feature of the way the world works in those valleys. How "time variable measures" can be used to describe the landscape of the earth/moonscape's elements in a way not considered before. Further to this understanding of pathways through space, require a firm understanding of how one can perceive the fabric of spacetime and the impression the earth leaves in it(just for demonstrative purposes to understand how indentation can be used in the understanding of the fabric). To have satellites travel by the planets, to be propelled onto different routes of travel, or, to be held in stationary orbits around. 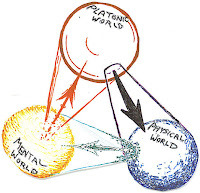 L1 to L5 positions of the three body problem relation help again to orientate how we see the nature of space-time as it structurally allows us to see in these abstract ways . Its as if you look at the space provide and understand that variation in gravity can be understood in a "three dimensional space" given by the universe. "This is the crucial difference between the dark energy and modified gravity hypothesis, since, by the former, no observable deviation is predicted at short distances," Dvali says. "Virtual gravitons exploit every possible route between the objects, and the leakage opens up a huge number of multidimensional detours, which bring about a change in the law of gravity." Dvali adds that the impact of modified gravity is able to be tested by experiments other than the large distance cosmological observations. 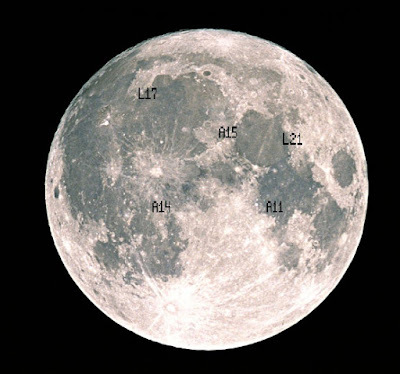 One example is the Lunar Laser Ranging experiment that monitors the lunar orbit with an extraordinary precision by shooting the lasers to the moon and detecting the reflected beam. The beam is reflected by retro-reflecting mirrors originally placed on the lunar surface by the astronauts of the Apollo 11 mission. We regard quantum mechanics as a complete theory for which the fundamental physical and mathematical hypotheses are no longer susceptible of modification. You know I have watched the long drawn out conversation on Backreaction about what was once already debated, to have advanced to current status in the world represented as a logic orientated process with regard to entanglement. What are it's current status in terms of its expression experimentally to know what it is we are doing with something that had been debated long ago? In the May 15, 1935 issue of Physical Review Albert Einstein co-authored a paper with his two postdoctoral research associates at the Institute for Advanced Study, Boris Podolsky and Nathan Rosen. The article was entitled “Can Quantum Mechanical Description of Physical Reality Be Considered Complete?” (Einstein et al. 1935). Generally referred to as “EPR”, this paper quickly became a centerpiece in the debate over the interpretation of the quantum theory, a debate that continues today. The paper features a striking case where two quantum systems interact in such a way as to link both their spatial coordinates in a certain direction and also their linear momenta (in the same direction). As a result of this “entanglement”, determining either position or momentum for one system would fix (respectively) the position or the momentum of the other. EPR use this case to argue that one cannot maintain both an intuitive condition of local action and the completeness of the quantum description by means of the wave function. This entry describes the argument of that 1935 paper, considers several different versions and reactions, and explores the ongoing significance of the issues they raise. Might I confuse you then to see that their is nothing mystical about what our emotive states implore, that we might not also consider the purpose of Venn Logic, or, a correlation to Fuzzy logic to prepare the way for how we can become emotive entangled in our psychology, are ways "biologically mixed with our multilevel perspective" about how photons interact, to see that such a color of debate could have amounted to a distinction that arises from within. Which can manifest itself on a real world stage that is psychological forced out of the confines of human emotion, to be presented as a real world force "bridle or unbridled" with regard to the human condition? While searching for familiarity on the terminology of Phenomenology, the greater question settled on my mind as to what Nature itself means. I would of course direct one's attention to the question of what Nature can mean here then. How we live with it and how it is applied to our circumstance for it to be "a truth for which we live and breathe." "Walk the Talk" and live according too, is a measure of our judicial process as to the finality of the road travelled with regards to our own life. So what is the way in which you would perceive the road too, and how would you draw such a picture to best describe what you are seeing "as the way leading" to a common front regarding predictions of science? The idea of the predictions of science have to have a course in which to follow that accurately describes the process to which such predictions are made. Now, this kind of abstraction is correlated in my mind as to the way in which one could map the mind and the road toward such prediction, and in following such a road, lead all to imagine that after such a journey, a verse can be expounded upon as to to what can possibly materialize out of such a "cloud gathering, " or a, "Light bulb" moment. 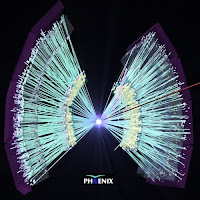 PHENIX, the Pioneering High Energy Nuclear Interaction eXperiment, is an exploratory experiment for the investigation of high energy collisions of heavy ions and protons. PHENIX is designed specifically to measure direct probes of the collisions such as electrons, muons, and photons. The primary goal of PHENIX is to discover and study a new state of matter called the Quark-Gluon Plasma. While giving this consideration, such experimental processes were telling to me of where and what we were doing by focusing our attention directionally to a time in the fractions of second, as to detail the very understanding of how the Universe came to be, and how such correlation could have been spotted in the neural connection, as if a space, to which all information could enter. But we know relatively little about how the circuitry of the brain represents the consonants and vowels. The chasm between the neurosciences today and understanding representations like language is very wide. It's a delusion that we are going to get close to that any time soon. We've gotten almost nowhere in how the bee's brain represents the simplicity of the dance language. Although any good biologist, after several hours of observation, can predict accurately where the bee is going, we currently have no understanding of how the brain actually performs that computation. The thing was, you had to provide that space in order to raise the question of what could have arisen out of it. What that space actually means. Now, are these things real or imagined facets of the natural world, or, are they measurable things that we have been lead too, to direct our attention, and not call it some fictional representative of a wild Bumble bee Dance?